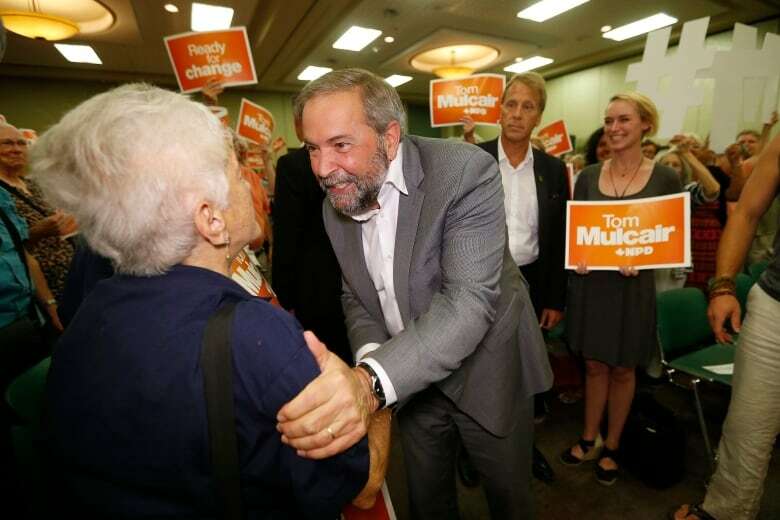 Tom Mulcair started the fourth week of the federal election campaign in Toronto where he promised that an NDP government would boost the guaranteed income supplement to help Canada's most vulnerable seniors. Tom Mulcair was in Toronto on Monday where he promised an NDP government would boost the guaranteed income supplement to help Canada's most vulnerable seniors. "Our commitment once fully phased in over the next four years will see a $400-million annual increase to the GIS program," said Mulcair, calling it an important first step to lifting 200,000 seniors out of poverty. The GIS provides a monthly non-taxable benefit to Old Age Security recipients who have a low income and are living in Canada. Mulcair also reiterated his party's promise to reverse the eligibility for OAS back to 65 after Stephen Harper's Conservatives raised it to 67. The changes brought in under Harper would be gradually phased in over a period of six years starting in 2023. The NDP leader noted that Kevin Page, the former parliamentary budget officer, found that the program was sustainable without the changes. Mulcair said these two promises combined had the support of the Canadian Association of Retired Persons (CARP), a group that counts over 300,000 members across Canada. "A $400-million increase in GIS and returning the OAS eligibility age back to 65 will bring real relief for the very poorest seniors and will go a long way to lifting every Canadian senior out of poverty," said Susan Eng, the group's executive vice president said in an email to CBC News on Monday. Eng added that in the last federal election, CARP sought support from all parties to address poverty among seniors and that in 2011 the Harper government "delivered $300 million annually to top GIS." Mulcair made his announcement in the Toronto riding of Davenport which had been a Liberal stronghold until New Democrat Andrew Cash won it in 2011. Cash was on hand for today's announcement along with another NDP candidate, Peggy Nash. They were joined by Stephen Lewis, Canada's former ambassador to the United Nations and a former leader of Ontario's NDP. On Monday, the Canadian Medical Association renewed its call for federal parties to address the challenges facing the health-care needs of seniors, urging them to commit to a national action plan. "Politicians are elected to lead and now more than ever, Canadians are looking for federal leadership to help develop a national seniors strategy," said CMA president Dr. Chris Simpson, in a news release.